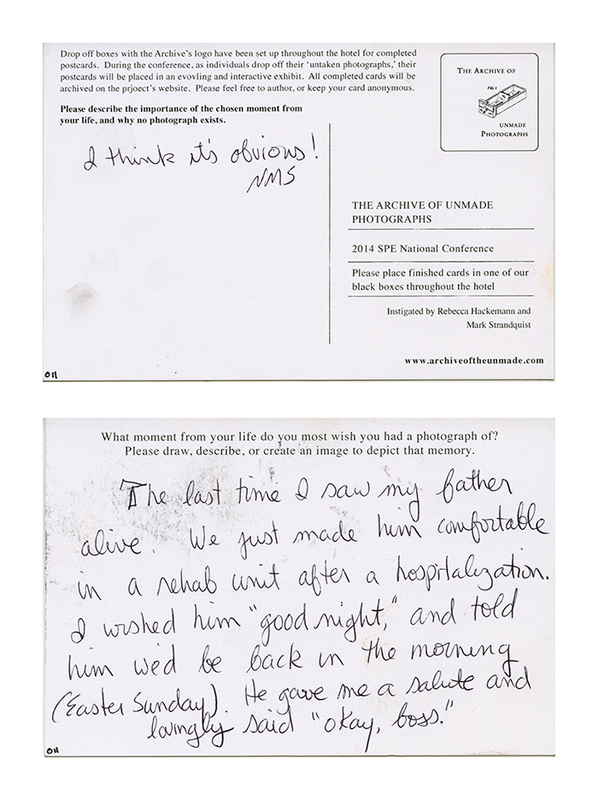 The Archive of Unmade Photographs is an ongoing project where participants respond to the prompt; “What moment from your life do you most wish you had a photograph of?” To participate, individuals create a postcard ‘from’ their chosen memory; describing it’s importance, and why no photograph exists. 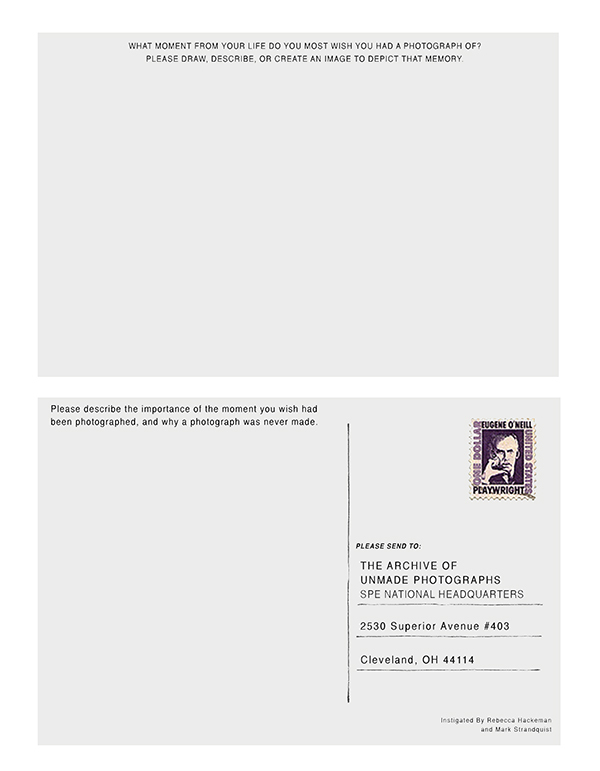 For the 2014 SPE National Conference, a blank postcard and directions for participating will be placed in each attendant’s conference bag. 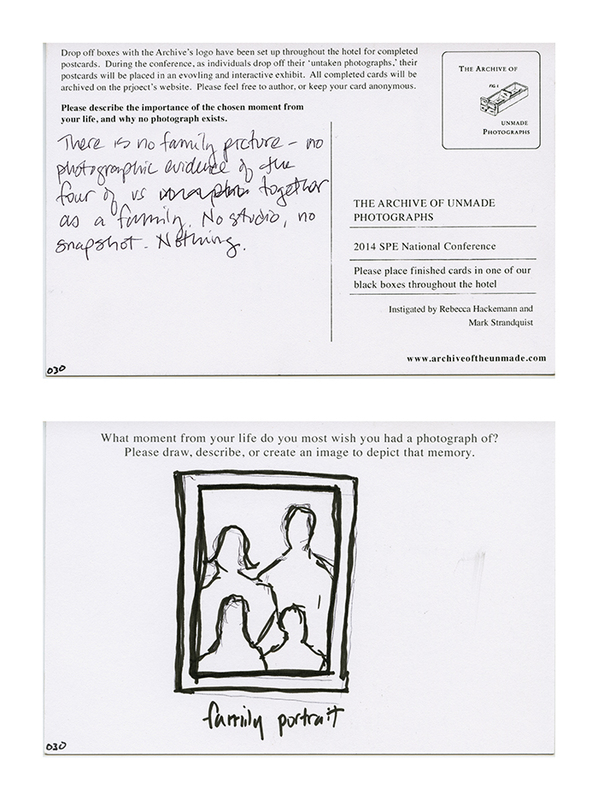 Drop off locations for completed postcards will be set up throughout the conference and a location will be determined for the display of these ‘untaken photographs.’ As cards are filled out and submitted the display will grow and evolve. The display will allow viewers to tangibly engage with the memories of others. Additional blank cards will be available for viewers to take and create their own. 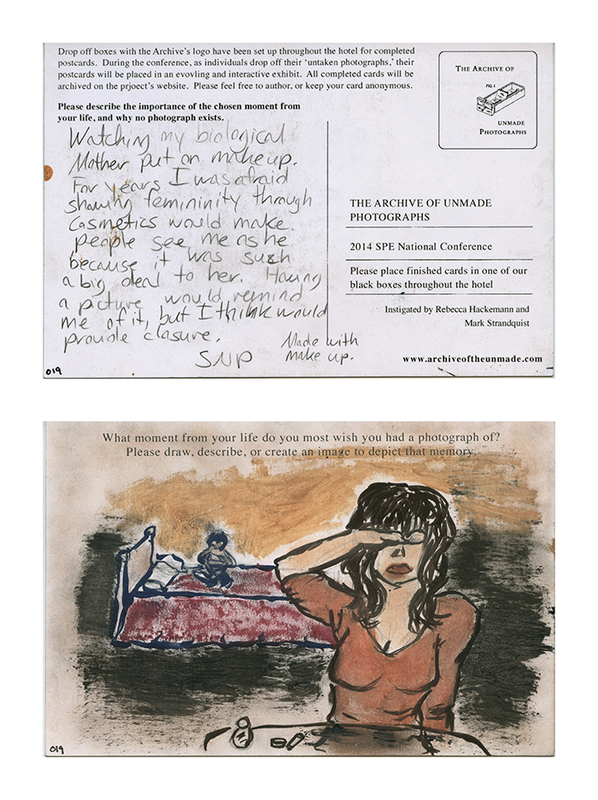 After the conference the completed postcards will be scanned and featured in an ongoing online archive. 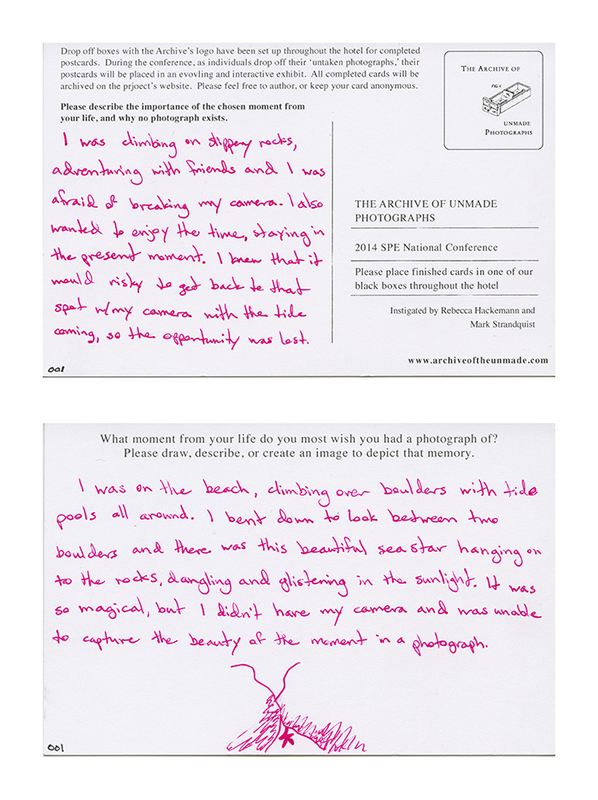 The project creates space and avenues for participants to produce and consume visuals without a camera--to think, imagine, and write photographically. *The project was instigated by Rebecca Hackemann and Mark Strandquist for the 2014 SPE National Conference.